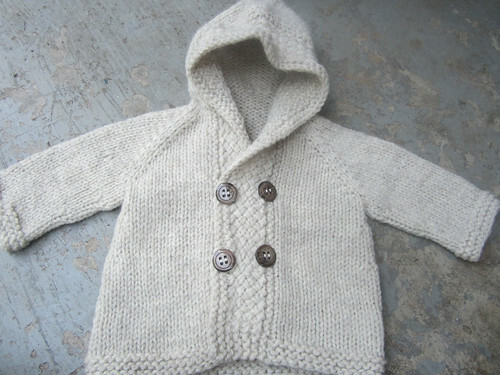 I finished the first Latte Baby Coat for the youngest grandchild due in November. It was so fast to knit! I mean wow. I almost never knit anything on size 10 needles anymore and I had forgotten how quick it can be. 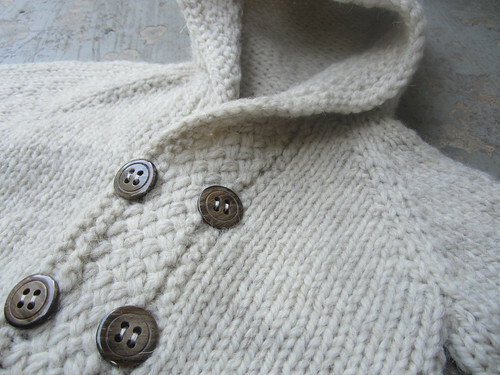 I tend to prefer the look and fabric with smaller gauge yarns but I can see how on occasion thicker yarns can have their appeal and it really is cute and cuddly. I cast on right away for the second one in the next size up for Sorrel. 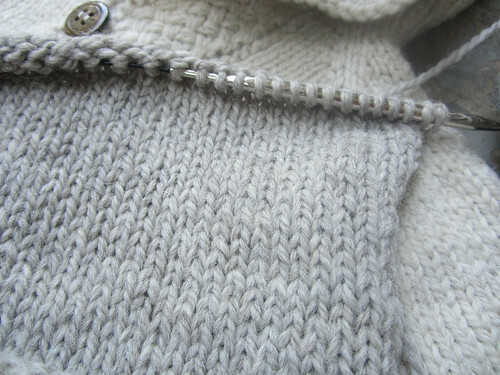 I am hoping to get these last two knit before the end of the month when we are going to northwest Virginia. I will be able to see my granddaughters then and want to pass the sweaters on to them in person. We are leaving early in the morning for Yellow Springs, OH for A Wool Gathering. There is some rain in the forecast this year for Saturday but Sunday is supposed to be pretty weather. I will try to check in sometime over the weekend.